NOTE: On all pictures you can click on them to make them larger, then hit the back arrow to get back to where you were. On my way to the post office I decided to take some pictures. 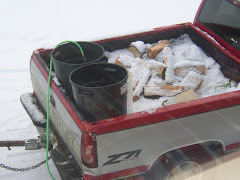 The following pictures were taken of the journey from the airport to the village of Dillingham, Alaska, population 2,500, on the morning of January 23rd, 2009. 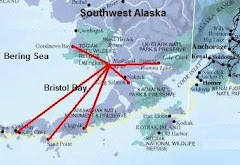 When you fly into Dillingham, you will most likely come in on Penair or Alaska Air. Here are some photos of the airport area. 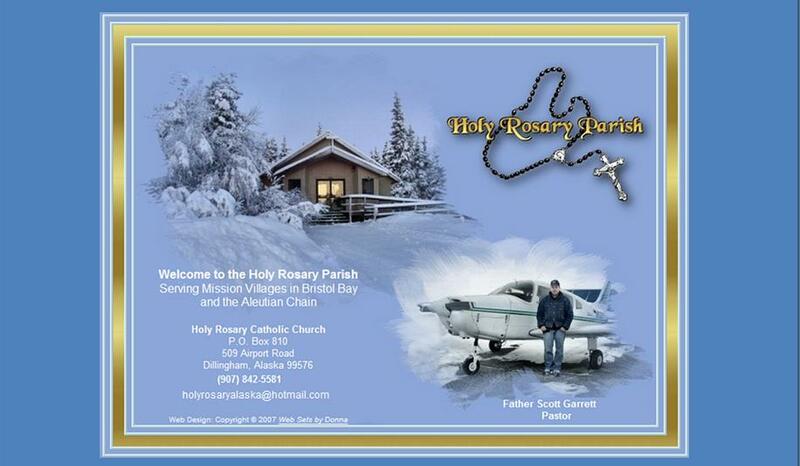 Holy Rosary borders the airport, three miles from the actual town of Dillingham. 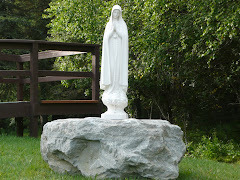 To get to Holy Rosary, take the first driveway to the right when leaving the airport. Long term parking is not in a parking garage nor is there any pavement. People who want to leave there cars for a few days, a week, or months can park them here. This parking lot borders Holy Rosary property. Lynden Airfreight and Everts Air Cargo are located at the South end of the Runway. Nora at the Cracker box supplies our wreaths, plants, and flowers. 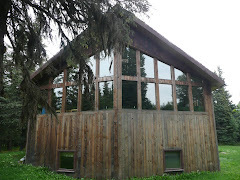 It is a great place to buy Alaskan art. It is located between Penair and Grant Aviation. Penair has the most flights to and from Anchorage. They have scheduled flights to villiages all around Bristol Bay. They know their business! As you are leaving the Dillingham Airport, there is a welcoming sign. Notice that behind the sign in the trees there is a building. That is the Holy Rosary Rectory. Our ten acres borders the airport. The actual village of Dillingham is about three miles from this sign. Just before arriving at down town Dillingham, there is a road to the boat harbor. I took a detour and took a few pictures. Included in these pictures is a view of Nushagak Point and Clarks Point from the Dillingham harbor. The harbor is where Holy Rosary blesses the fleet every year. 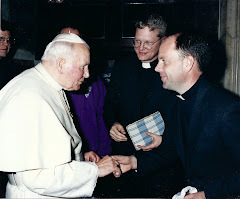 It is an ecumenical function because we invite all the other churches to join us. The coffee shop does quite well during the summer when all of the fishermen are in town. Looks like it is closed up this morning! This is the memorial for all or those who were lost or died at Sea in the Bristol Bay area. The blessing of the fleet takes place here every year in June. A welcome visitor in Dillingham. The American and Alaskan flags blow in the wind on this breezy but clear morning. Below is a picture of two points. The closest one on the left is Nushagak Point. The farthest one is Clarks Point, about 12 air miles from Dillingham. I fly there most every Friday for 11:30 Mass in Clarks Point. I normally take a drive down to the harbor before I fly over. If I can see Clarks Point I will fly there. If I cannot see it throught the snow, rain, fog, or mist, I stay home. Resident Dillinghammers get to put out a net every year for free. I put my net out right below the village, within a few blocks of the center of town. Below is a picture of where I put the net out. Pat Durbin, a long time resident of Dillingham let me use his spot. In the background is Peter Pan Fishery. There are actually four restaurants in Dillingham. They do not stay open year around and their hours and days of operation depend on the owners. For example, the Twin Dragon, located at the airport, may close for a few weeks, without notice, and then start up again. I did not take a picture of Ricardo’s, which recently burnt down but has now reopened. Following are pictures of the Twin Dragon, the Muddy Rudder, and the Eagle. The Twin Dragon is located at the Airport above Grant Aviation, in the same building as the FAA. 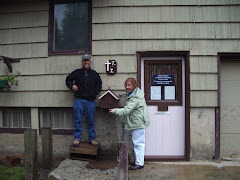 The owners stop by Holy Rosary to get blessed clean pure water from our well on days when they are opened. It is a great place to eat, but you have to have cash, no credit cards. The Muddy Rudder, located in the main part the village, is closed during the winter. To enlarge the picture, click on it and get a better look at the sign! The Eagle is located just outside the village on the road to the Harbor. Have a hamburger or some Chinese food. Just go early during lunch to beat the high school students. They get buried. There are five schools in Dillingham. I did not take a picture of the private Christian Seventh Day Adventist School. Below are pictures of the Elementary, Middle, and High Schools and the Bristol Bay College campus. The Wolverines are very competitive in Bristol Bay. The college provides a great opportunity for old as well as young to develope new skills and sharpen others. Dillingham offers two grocery stores and one mini mart. Following are pictures of the Alaska Commercial Company (A/C) and N & N Market. I have also included some pictures of some of the dairy, produce, and fruit. At the A/C Bob the manager, Jim the butcher, Gary, and Lucky will take care of all your grocery shopping needs in downtown Dillingham. Fruit is very tough to get in the Alaskan bush. It is expensive and usually in poor shape. Produce is also expensive and hard to get. I normally purchase salad in the bag because I like to know how old the vegetables are. 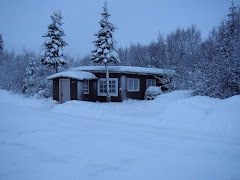 There are several bed and breakfast places in Dillingham. I took a picture of one of them, the Thai Inn. I included pictures of the Bristol Inn and the Dillingham Hotel. The Thai Inn is popular in Dillingham. It is clean and the rooms are great. I usually have guests stay here if I do not have room for them in the rectory. 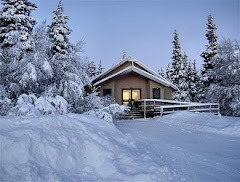 It is located a couple blocks from the central part of Dillingham. The Bristol Inn has a nice gift shop and is one of the nicer places to stay in Dillingham. The south end of Bristol Inn is used by Nushagak Electric Coop. 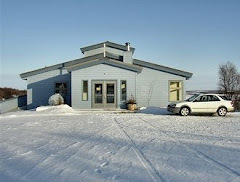 Right in the heart of Dillingham is the Dillingham Hotel, another choice for visitors. Included here is a picture of the bank, post office, court house, hardware store, Senior Center, Grandma's Assisted Living, etc. 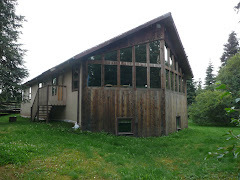 Shown below is a picture of housing that the Senior Center (a senior day care center) offers to seniors who live in Dillingham and the surrounding villages. 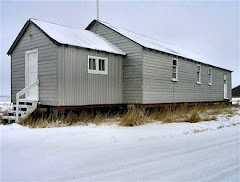 Below is Grandma's, an assisted living home across the gravel road from the Senior Center. Always a hot spot for Dillinghammers, a resident purchases some stamps at the Post Office. High Schoolers around lunch time cut through ACE hardware store on there way to either N&N Market or A/C. Let me guess, they will probably buy Mountain Dew and Reeses? The Wells Fargo Bank, the only bank in town, is centrally located across the street from the Library, Ace hardware store, and the Post Office. The library is the home of the Samuel Fox Museum. It also has a good collection of DVD's, children's books, and offers computer internet. The fire station is 100% volunteer. Eventually I hope to start volunteering there as a Chaplain. Dillinghammers love to paint buildings and dumpsters. Below are a few examples. 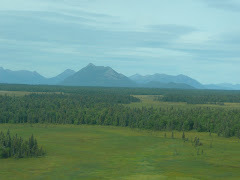 Dillingham also offers an Alaskan Native Hospital and several more places of business not mentioned, such as Alaska West, Dillingham Micro, and Northern Air Cargo. There are over seven churches including Lutheran, Seventh Day, and Moravian. 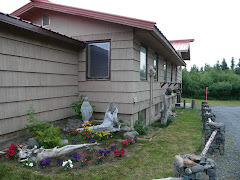 If you ever get to Dillingham, please stop by Holy Rosary Catholic Church on your way out of the Airport. Remember, we are the first driveway on the right as your leaving the airport.